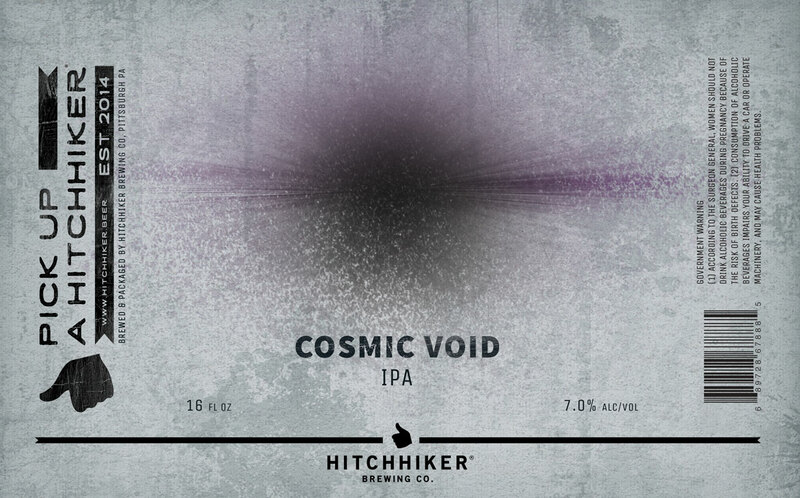 Cosmic Void | Hitchhiker Brewing Co. Brewed and dry hopped with Sabro. Notes of Pineapple, Coconut, Tropical Fruit, and Cedar.